After the big success of Fireluke tanks, here comes the new Freemax Firelord Tank. The same with Fireluke, the new Firelord tanks also use resin material, and come with a optional RTA system. Meanwhile the replacement coils are dual coil Kanthal coils at 0.25ohm. 2ml ejuice capacity with top filling and bottom airflow control, 6 color options. 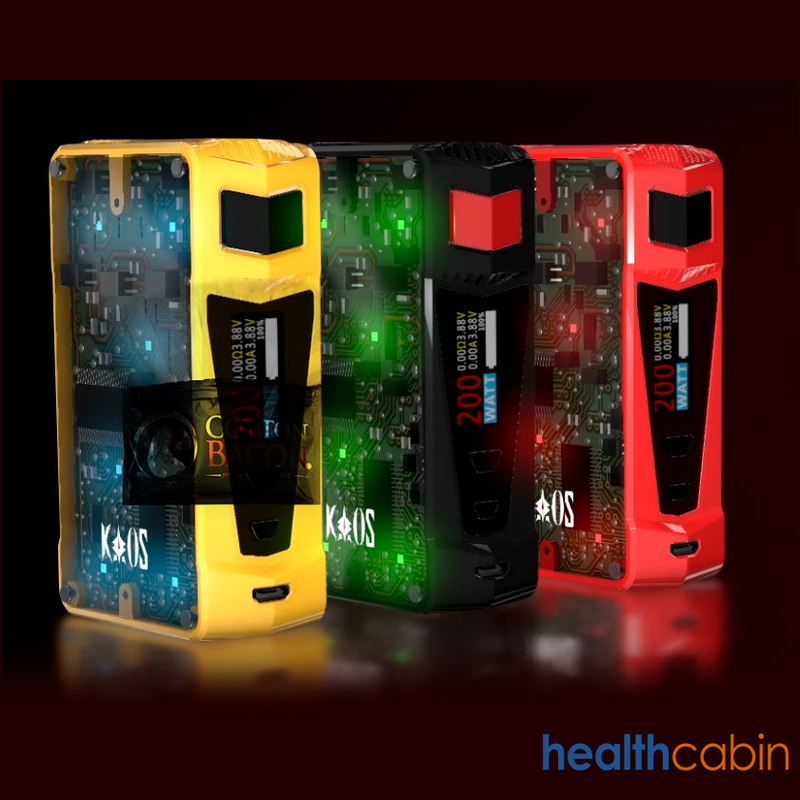 Introduce the new 200W KAOS Z Box Mod from Sigelei. Max wattage output is 200W, changeable LED light with breathing effect.